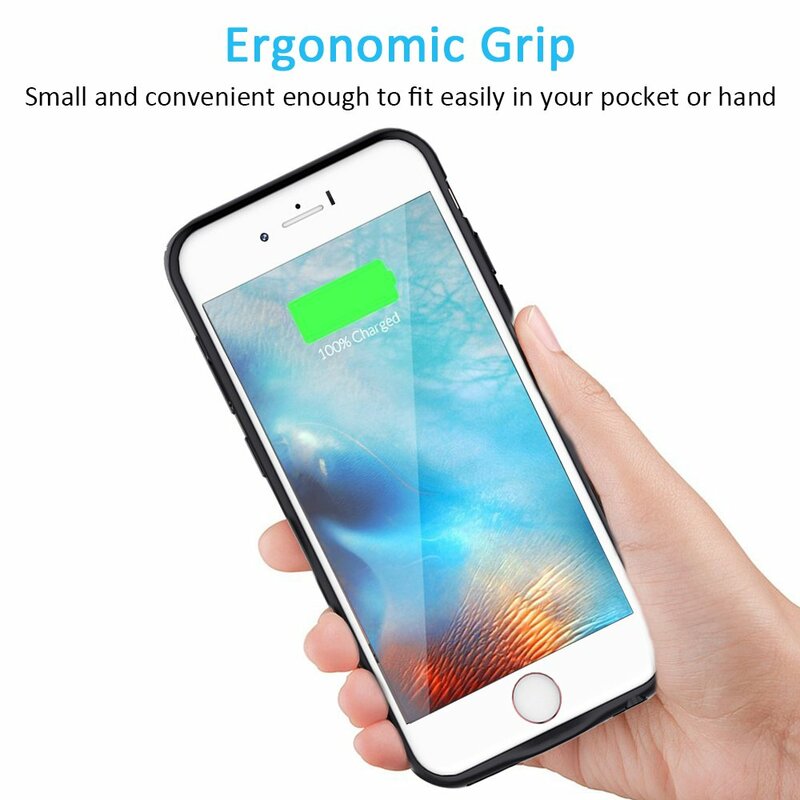 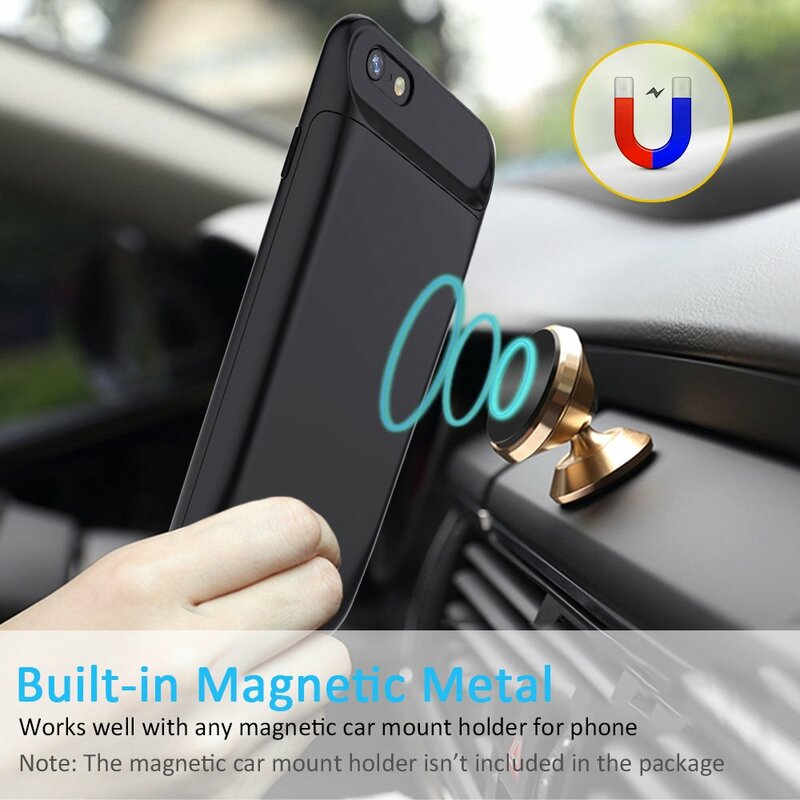 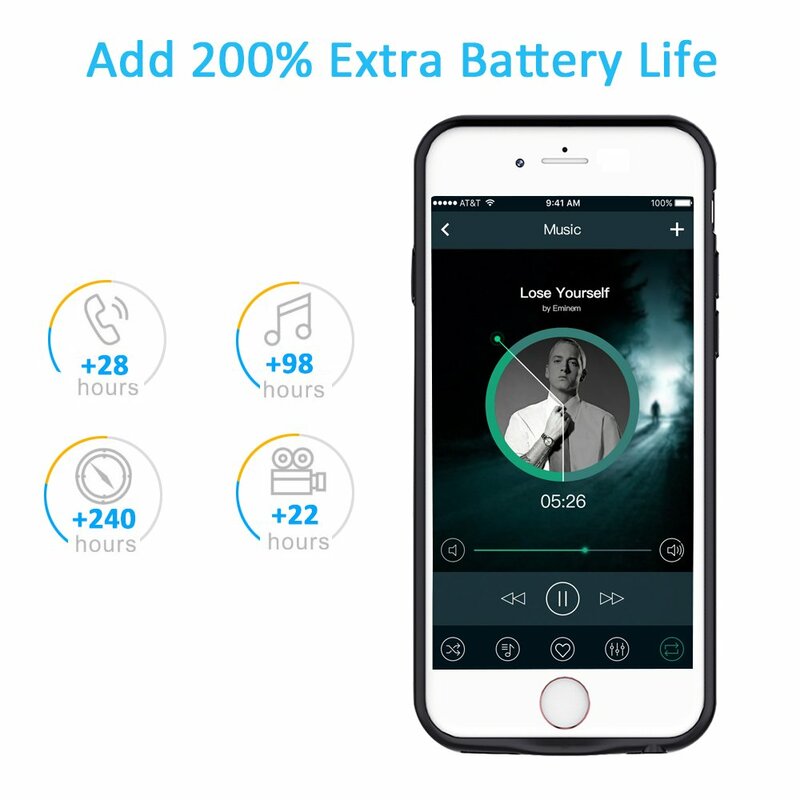 ★More Than 200% Extra Power--This battery case with powerful 5000mAh capacity for iPhone 6S/6 helps keep your phone charged the entire day. 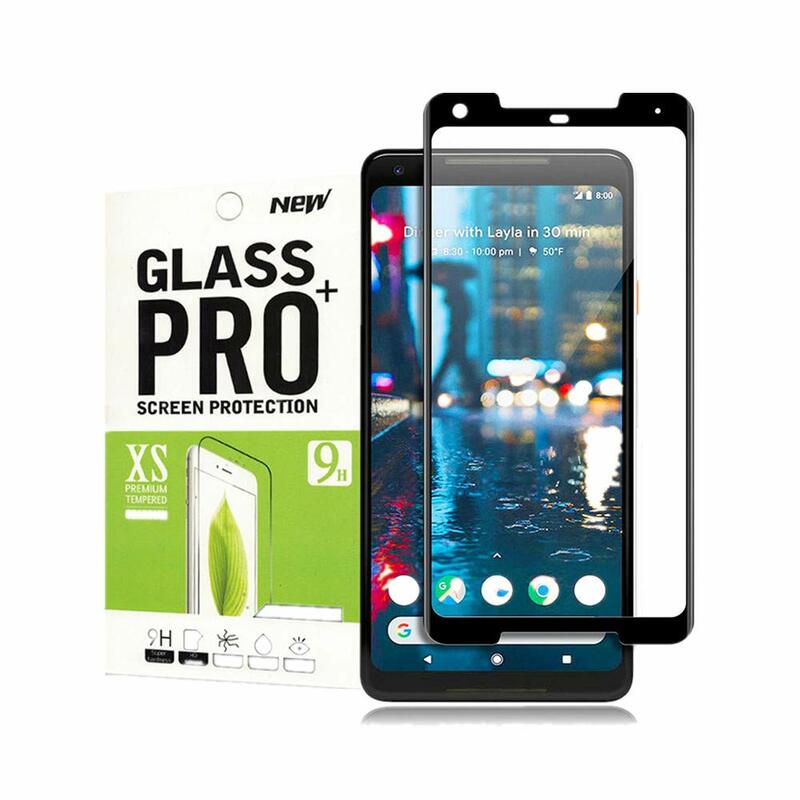 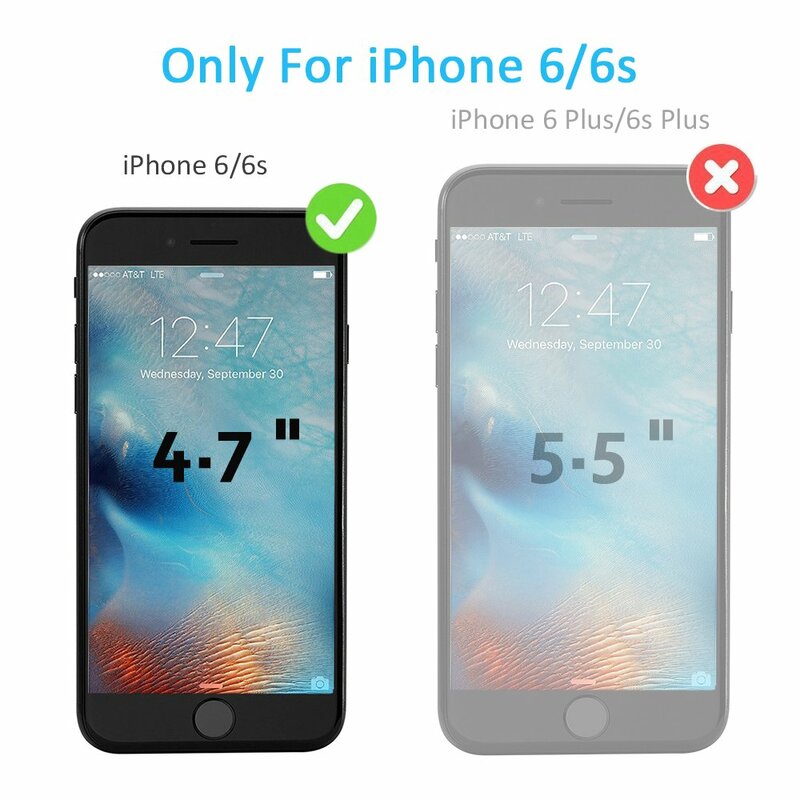 ONLY for 4.7-inch model. 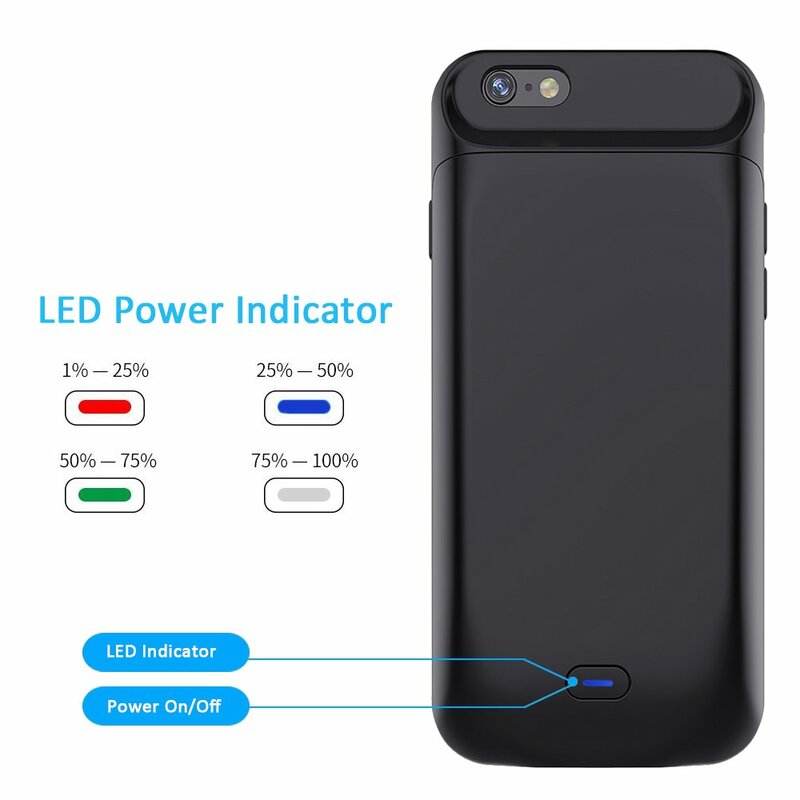 ★4 Level LED Power Indicator--Featuring with the LED battery level indicator, this battery case could let you know exactly the power left (0--25%--50%--75%--100%); besides, you could switch on/off your iPhone 6s/6 battery case with the power switch easily. 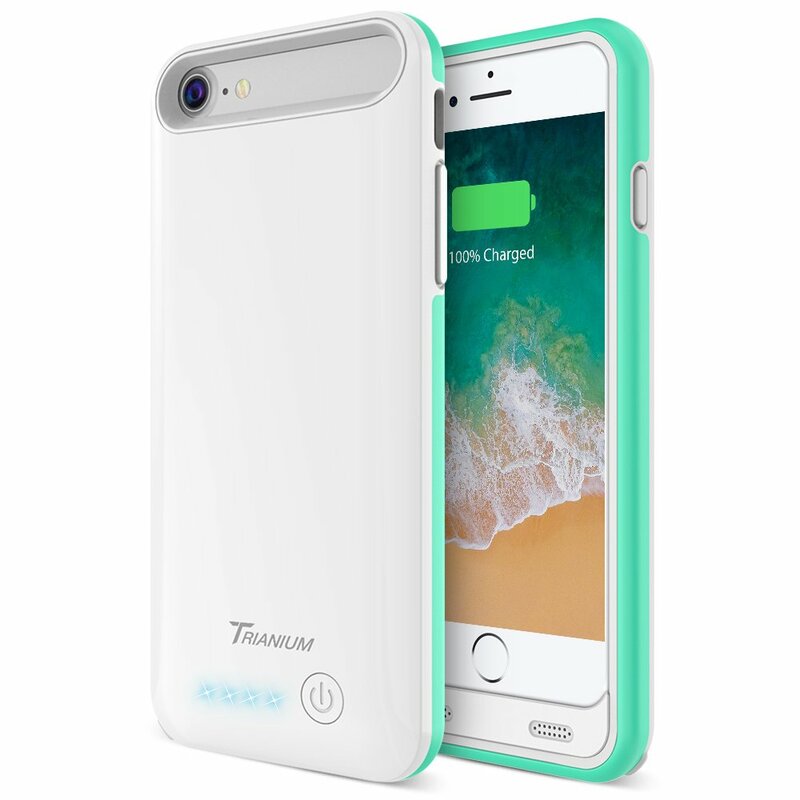 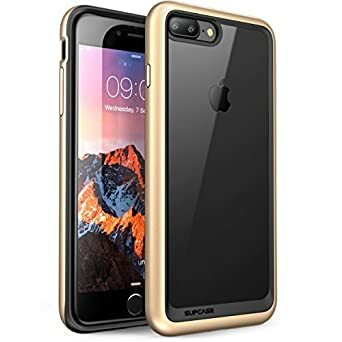 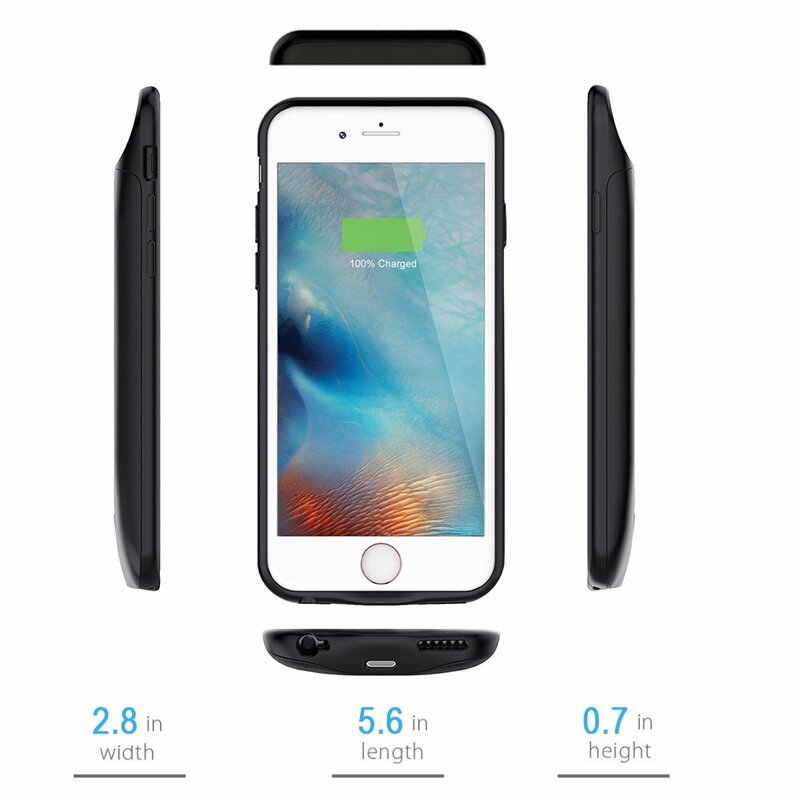 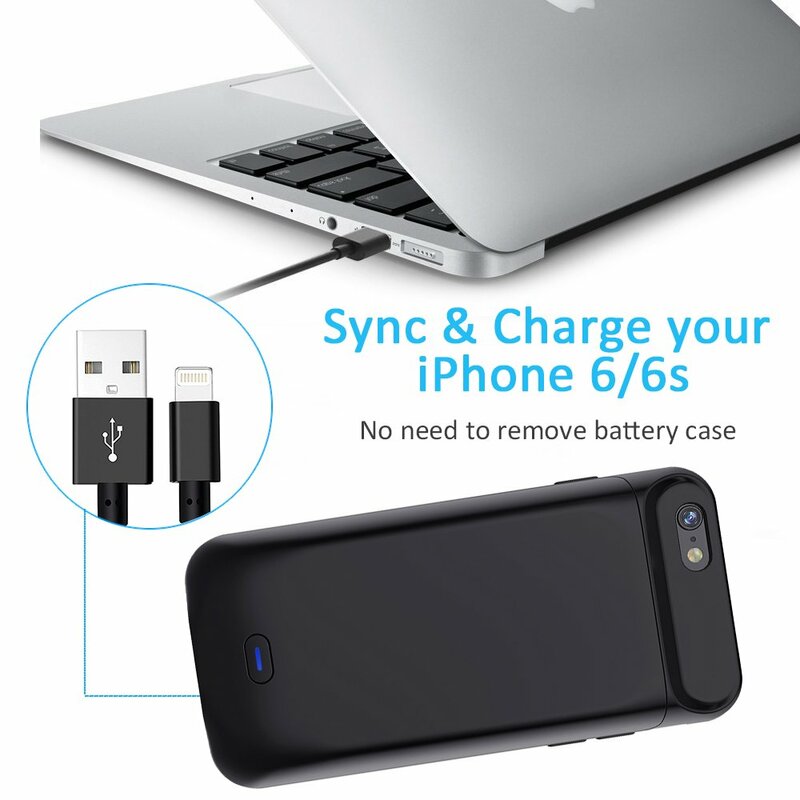 ★Hassle-Free Charging & Slim Portable--This battery case allows you to sync your iPhone to a device without removing the case. 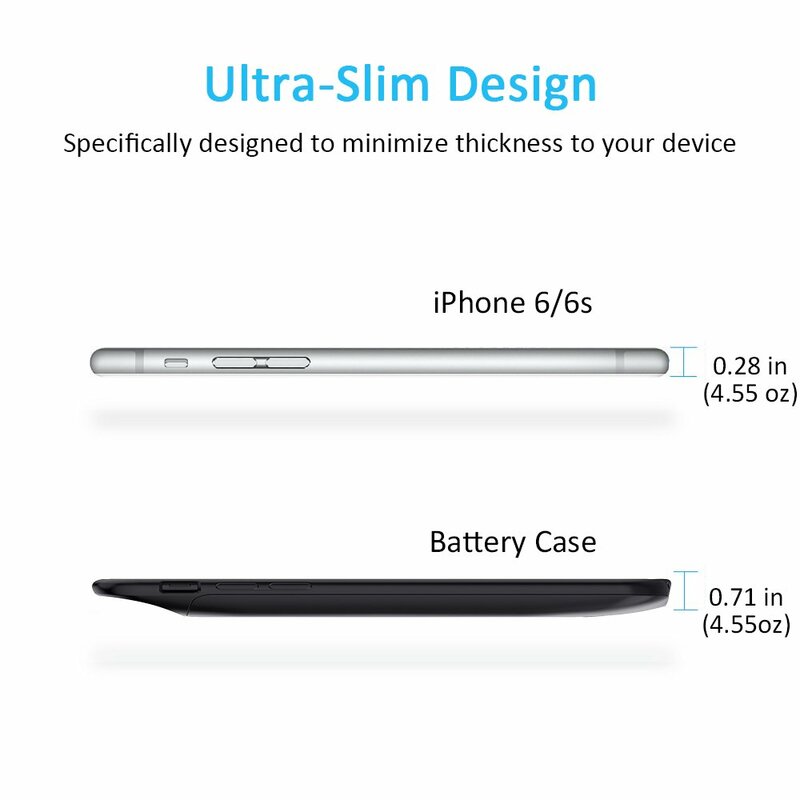 Also it is very slim and could put your bag and hold only by one hand easily. 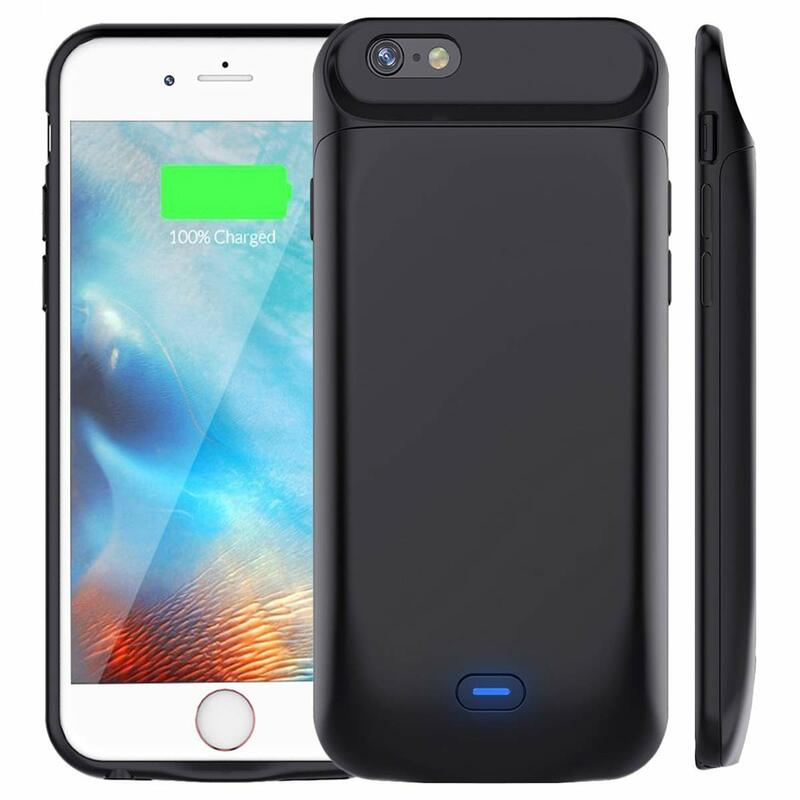 ★100% Money Back Guarantee--If you are not satisfied with our 5000mAh battery case for iPhone 6S/6, please let us know and we will issue you a full refund or replacement to make you be a happy customer.